icon_vacationagent Alohilani Resort Waikiki Beach welcomes you to the chic side of Waikiki. 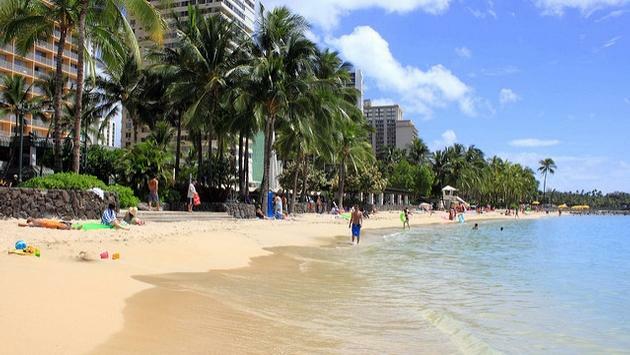 The Pacific Beach Hotel in Waikiki has been undergoing a $115 million renovation program to become the Alohilani Resort Waikiki Beach. 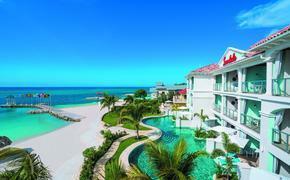 A brief new Travel Agent Academy program introduces you to the completely transformed resort. Once you learn about the exciting changes, you’ll find that the Alohilani is an easy sell for a wide range of your clients, with its unforgettable setting in the heart of Waikiki, blending Hawaii’s cultural heritage with an elegant contemporary style that’s uniquely Aloha Chic. The two modules of the course are presented as a virtual tour. As you follow along on the excursion around the property, you will be given “insider” details that should help bring the resort, its unique selling features and its vacation experiences to life. You’ll learn how to easily communicate what sets Alohilani apart from other Waikiki properties. Alohilani is home to the Oceanarium, a 280,000-gallon aquarium that showcases more than 1,000 species of protected marine life and coral that emulates coral reef formations in the waters off Waikiki. It’s both an intriguing and an educational attraction. The Alohilani features an extraordinary pool deck including a saltwater infinity pool overlooking the Pacific Ocean, full bar, tiered day beds, custom teak furniture, driftwood sculptures and a collection of stepping stones leading up to five private cabanas the pool. The 839 newly renovated guestrooms have a choice of ocean, city and Diamond Head views. Each guestroom boasts custom furnishings, a balcony and a fresh design that creates the atmosphere of a modern yet cozy beachside retreat. Alohilani will be home to the only two Iron Chef Masaharu Morimoto restaurants in the state. The new dining concepts will feature world-renowned cuisine that seamlessly integrates Western and traditional Asian ingredients with creativity and innovation. The property will also feature a beer garden, where guests may enjoy food and drinks. The 6,000-square-foot Island Club and Spa Waikiki luxury fitness and spa experience will debut late in 2017. Plus, land and water group exercise classes will include Zumba, yoga and total body conditioning, and more. The Alohilani Resort offers discounted hotel rates to travel advisors, participates in all wholesaler fams and Hawaii Convention and Visitors Bureau Sales Blitzes, as well as currently working on a new travel agent incentive program. Don’t miss this opportunity to increase your revenue and better serve your Hawaii customers. Sign up to become an Alohilani Resort Waikiki Beach Specialist today! Visit travelagentacademy.com today! A version of this article appears in print in the August 2017 issue of Vacation Agent Magazine.